Molecular Pharmacology and Cellular Signalling are core themes with our Institute. Focus is on the structure, function and regulation of members of the family of G protein-coupled receptors (GPCRs) and how information deriving from detailed analysis of their mechanisms of action can be translated into the development of novel medicines and approaches to both understand and ameliorate disease. Underpinned for many years by the work of Professor Graeme Milligan, the Molecular Pharmacology Group is currently undergoing substantial and rapid expansion. We use approaches ranging from classical pharmacological analyses to the development of biosensors based on biophysical methods and, linked to the generation of unique animal models to study disease development and the molecular mechanisms that underpin the basis of physiology, novel assay technologies allow better discrimination between ligand chemotypes to prioritise selection of candidate molecules for lead optimisation and development. Close links have been established with both clinicians and basic science groups in other Institutes within College of Medical, Veterinary & Life Sciences with focus on cardiovascular and metabolic health, infection and immunity and dementia and neurodegeneration. Research interests: My present research is focused on determining the impact of pharmacologically targeting specific members of the G protein-coupled receptor (GPCR) family in neurodegenerative diseases. 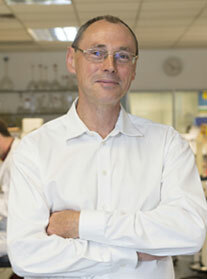 Research interests: G-protein coupled receptors, G-proteins and signal transduction.